California Governor Jerry Brown signed the Reproductive Fact ACT into law Friday, which requires anti-abortion crisis pregnancy centers to post signs disclosing to their patients if they are medically licensed, and informing them the state provides low-cost family planning, abortion services and prenatal care. On Saturday, two anti-abortion clinics sued the attorney general, arguing their free speech rights are being violated. Given how many unlicensed anti-abortion facilities provide over-the-counter pregnancy tests, sonograms out of vans in the parking lot, and other services designed to look like medical care, that seems like a solid plan. 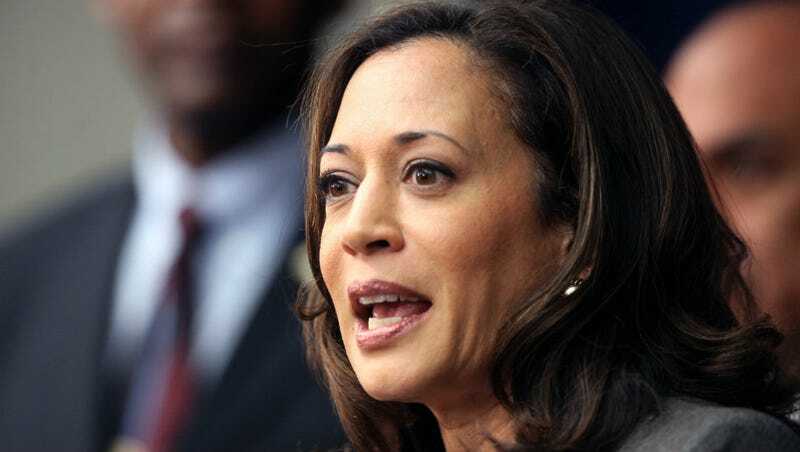 Nonetheless, on Saturday, two anti-abortion clinics sued California Attorney General Kamala Harris, arguing that the signs violate their First Amendment rights. A Woman’s Friend Pregnancy Resource Clinic in Marysville and Crisis Pregnancy Center of Northern California in Redding are both licensed by the state and provide basic services like pregnancy tests and sonograms. Care Net Pregnancy Center understands that all women have freedom of choice. But, wise choices cannot be made unless all the options and risks are considered. Similarly, A Woman’s Friend claims to provide “abortion education,” although they do disclose at the bottom of the page that they don’t provide or refer for abortion services. That argument worked in Austin, Texas, where a similar signage law was struck down in 2014. Another one was upheld in New York City, although the State Supreme Court threw out a provision making the clinics state directly whether they provide abortions.